The Price Cutter Charity Championship presented by Dr Pepper is your chance to see the PGA’s future greats playing to give local kids great futures. The 2019 tournament will mark our 30th event, and our goal is enormous as usual. Since the tournament began in 1990, it has raised more than $15.6 million for children’s charities throughout the Ozarks. The Price Cutter Charity Championship presented by Dr Pepper (PCCC) is a PGA Tour golf tournament on the Web.com Tour. The event is played at Highland Springs Country Club in Springfield, and is the parent to a myriad of related events hosted throughout the Ozarks. Be a part of this year’s success! Purchase your tickets at Price Cutter Supermarkets, participating children’s charities or at the Missouri Sports Hall of Fame. Saturday marked the PGA Tour’s #LiveUnderPar campaign as it announced it raised $180 million in 2018. Of course, the PGA Web.com Tour’s Price Cutter Charity Championship presented by Dr Pepper is very much happy to be a part of it, having recently gifted more than $950,300 to 49 Ozarks children’s charities. Among them was the Diaper Bank of the Ozarks, which was in its sixth year of operation and first year partnering with the PCCC. The Diaper Bank of the Ozarks, which joined the PCCC this year, has made quite an impact. It now supplies diapers to 40 partner agencies in Greene County and 46 rural partners in 32 southwest Missouri counties. Additionally, it offers a cloth diaper loan program, noting that it reaches 150 families and helps each save $1,000 on diaper expenses. All this for an organization that employs the equivalent of two full-time staffs and a full-time volunteer, Jill Bright. For years, Bright was eager to partner with the PCCC as a way to boost Diaper Bank as a household name, and she is making it happen. The Diaper Dash and Brunch Bash was a success in early September. The event drew 200 runners — a significant number for a first-year PCCC charity! CHANCES of Stone County earned the prestigious Web.com Tour Charity of the Year award late Thursday night, stunning the leadership team of a Branson West-based non-profit dedicated to improving the lives of developmentally disabled children and adults. Even better, the Web.com Tour gifted the non-profit a $30,000 check, which CHANCES plans to use toward on-going efforts in starting a day program. The charity – its acronym stands for Community Helping Able Neighborhood Citizens Experience Success – was among 49 charities this past summer of the PGA Web.com Tour’s Price Cutter Charity Championship presented by Dr Pepper. 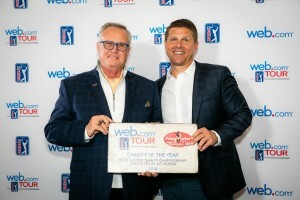 The award was announced during the Web.com Tour annual meetings in Palm Springs, Calif., with CHANCES chosen over hundreds of nominations from across the Tour. With it, the check means the PCCC has now gifted $950,352 this year. It also boosts the tournament’s 29-year total of gifting to $15,620,801. This year marked CHANCES’ seventh year with the PCCC. 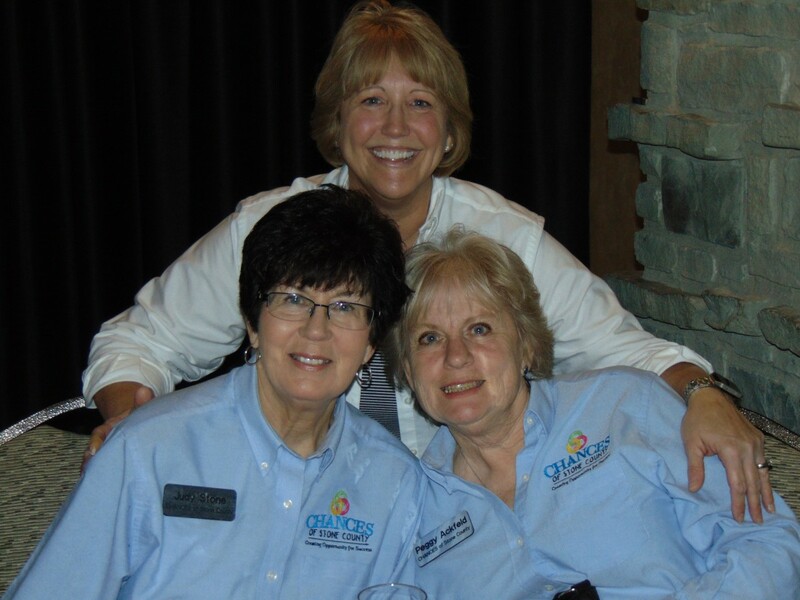 Its leadership team and volunteers are always ready to help in any way that they can by packing pro-am gift packages, volunteer packets and snack packs for each the tournament’s 13 pro-ams. They also volunteer in hospitality during tournament week. In the past two years alone, CHANCES has sold more than $30,000 in items at the Golf Ball & Charity Auction presented by University Plaza and CPI Technologies – and helped tournament staff at the auction this past July. In the same time period, CHANCES also sold 750 of the TLC Properties Charity Sweepstakes tickets, for nearly $18,800. 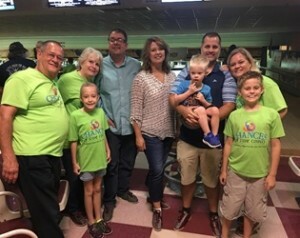 In September, CHANCES also held a Bowl-A-Thon and auction at Enterprise Lanes in Springfield. All of which came as CHANCES rented its first meeting and activing room in Reed Spring. The facility — it has six kitchens, with two to be handicap-accessible — will allow the charity to bring life skills and therapies to Stone County instead of families being forced to drive hours for assistance. Those efforts easily met the criteria for the Charity of the Year award. The Tour looks for strategic partnerships with a tournament, including cross-promotion, and volunteer support. It also requires the winning charity to include use of funds, generated in part by its local tournament, towards the charitable mission of the organization. PCCC Executive Director Jerald Andrews accepts the $30,000 check from Web.com Tour President Dan Glod on Dec. 7, 2018. Additionally, CHANCES hosts other group activities such as M.A.D. Saturdays in which the non-profit provides music, art and dance therapies that bring therapies and experiences to the whole family. CHANCES of Stone County also has been supported through passage of state Senate Bill 40, the Stone County Developmentally Disability Board, in which a small percentage of property taxes go toward developmentally disabled citizens in Stone County. This year SCDDB was able to provide funding for Camp Barnabas, which CHANCES has done in the past. This freed up some money to be used in other areas.